Scroll down for the #263Chat conversation report for June 30th, 2018 EST. When it comes to participants, we ranked 20th among 421 conversations. In terms of the number of posts, we ranked 20th out of 421 conversations that took place. This conversation ranked 11th out of 421 in terms of the amplification of ideas & content. There were 85 reshares, 73% of posts, during the course of the conversation. Not only am I unconvinced, I'm highly sceptical. Watching, listening to and analysing Simba Makoni, I can't help but noticing the man's arrogance is tempered by a nagging lack of enthusiasm. 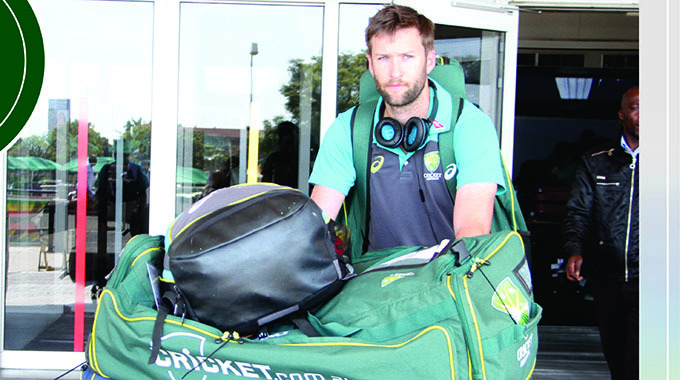 AUSTRALIA - one of the three most powerful cricket nations in the world - arrived in Harare yesterday for a Twenty20 International battle against Zimbabwe and Pakistan despite spirited attempts by some forces of darkness for the men from Down Under to scrap the tour.